St. Patrick’s Day is just around the corner! 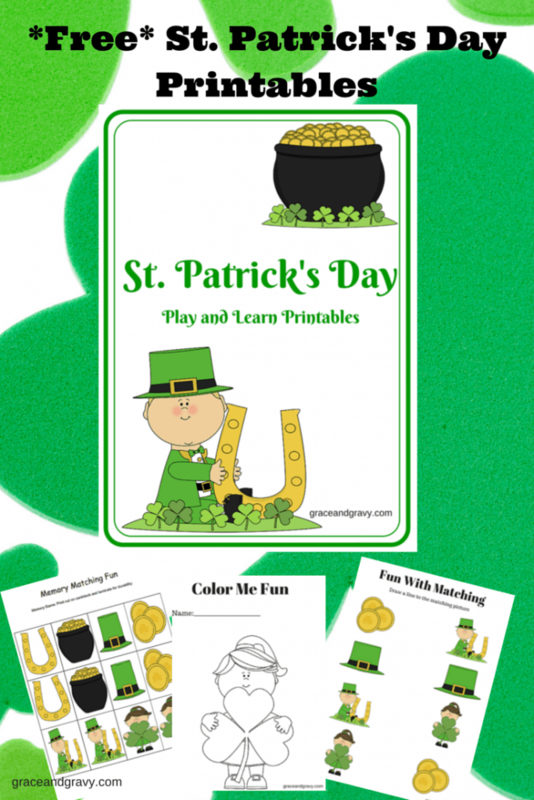 GraceandGravy.com has a cute, educational and FREE Play and Learn Printable Pack for you. Perfect for PreK-1st grade. Be sure to sign up for GraceandGravy’s mailing list for more great pintable’s.